A marine sanctuary is, simply, a designated area in a body of water that is protected; like a national park, only underwater. It can be protected for exceptional natural or cultural heritage features. The 14 current sanctuaries are diverse in their sizes and characteristics. Click here to explore them all. Like a national park, they don't just celebrate the natural or cultural artifacts of the place, they put the entire area and its history into context. And they engage the community in meaningful ways. And like any other national park, a sanctuary designation does come with restrictions on human activity but none that should worry anyone. If Erie does get one, commercial and recreational fishing, boating and diving would still be allowed. To find out, a public meeting, hosted by County Executive Kathy Dahlkemper, was convened on Tuesday evening, Dec. 9, at the Hirt Auditorium. More than 100 people showed up including divers, anglers, boaters, conservationists, and other interested parties to hear a presentation by representatives from the National Oceanic and Atmospheric Administration, Ellen Brody and Jeff Gray. Brody, Great Lakes regional coordinator, explained NOAA's mission, and how the sanctuary designation process works. Gray, superintendent, described the attributes of the Thunder Bay National Marine Sanctuary on Lake Huron in Alpena, Michigan, and outlined what the sanctuary has brought to the community. Check out what's going on at the Thunder Bay Sanctuary here for a detailed look. There are many positives to be gained from having a sanctuary here, if Alpena's experience is any indication. 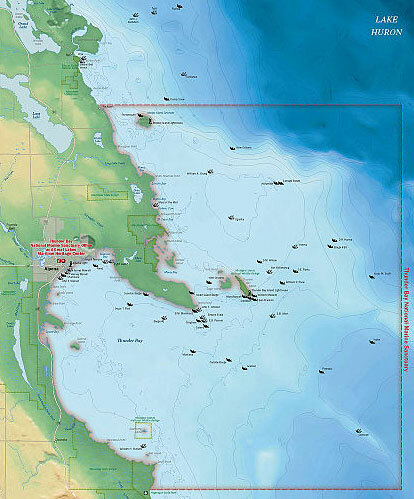 To host a sanctuary, the community must be on board with its presence and be willing to collaborate in a variety of ways, from providing dock space for research vessels, serving on a advisory council, and supporting educational curriculum that grows out of having a world-class research center on its waterfront. Representatives from the local fishing, boating, and diving communities all commented at the meeting that they are wholeheartedly on board with moving the application process forward, and Dahlkemper said that there will soon be a page on the county website for people to submit comments. The process of applying is a long and detailed one, in which the community will have ample opportunity to participate in the discussion that leads to submission. Then, if NOAA accepts the application, there would still be another three to five year of further collaboration before sanctuary designation occurs. NOAA has the final say, though, and even if the application is accepted, there is no guarantee a sanctuary designation will occur. I came away fully satisfied that seeking to apply will be an excellent opportunity for our region to enhance commerce, education, and tourism. 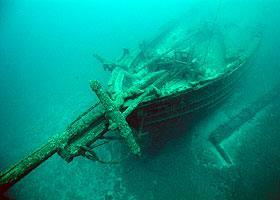 With more than 170 shipwrecks in state waters, a long history of fishing and other maritime activities, the Flagship Niagara and its place in national history, eager-to-collaborate organizations like the Erie Maritime Museum and the Bayfront Maritime Center, and universities that are already engaged in lake research, we seem well-positioned as a strong candidate. I also came away with a question: Why was Mayor Sinnott not at this meeting? Mary Birdsong can be contacted at mBirdsong@ErieReader.com, and you can follow her on Twitter @Mary_Birdsong.